Popular in medieval Europe, a bec de Corbin, or Crows Beak, was simply another name for a poleaxe. 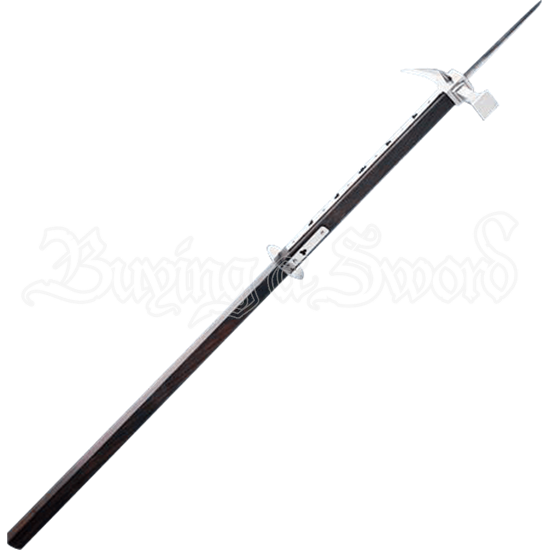 The Bec de Corbin War Hammer is a shortened version that consists of a modified hammer head and spike mounted on a wooden pole. The hammer face balanced the beak and was often blunt instead of the multi-pronged Lucerne design. The beak tended to be stout, offering a much better design for tearing armor and dismounting riders. 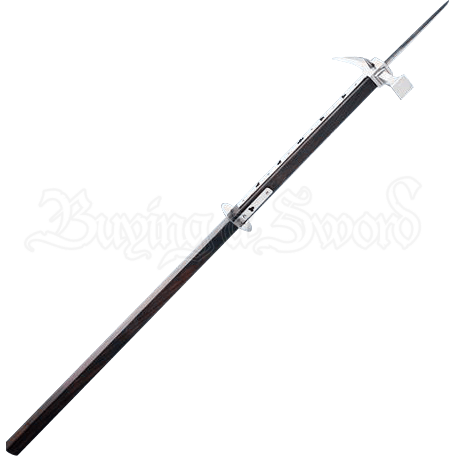 This fine medieval pole weapon was hand-forged with detailed pierce-work, a strong hand guard, and fantastic period details that make it as beautiful as it is deadly.